Julie Eggers is Co-founder and COO of Gardenuity, not to mention a woman we vastly admire. She shared with us lessons she learned from childhood that have helped her achieve successful entrepreneurship, desirable business partnerships, and a happy and thriving family. And…well, we just had to share it with you. More like 24 years. Julie Eggers brings new meaning to this phrase as the ultimate advocate for stability, self-sufficiency, and stick-to-it-iveness. Alongside being a mom of two children—Amanda (22) and Alexander (20), a wife, an avid numbers nerd, and a finance enthusiast, Julie is co-founder and COO of Gardenuity. She’s found her way through the chaos of entrepreneurship and life by valuing extreme stability. Julie has lived in Dallas proper in the exact same home for 24 years. She says, “I knew when we bought it that it was going to be my forever house.” She wanted a place where she and her family could put down roots—a place replete with a safe neighborhood, good schools, and charming neighbors. The most unusual part? Even though both of her kids are full grown, she plans on staying there until she’s forced to leave. Julie knows now that this stability hugely defined her approach to life. In fact, this type of long-term stability is a tradition begun by her mother, Beverly Mitchell Tuck. Further, Beverly somehow innately understood that stability was invaluable to the girls. After the wreck, everything stayed the same—the car, the house, the school—everything. Julie even lived in the same house until she graduated from college. This sameness became a vital part of Julie’s healing and long-term success. Long-term is the way of Julie’s life. 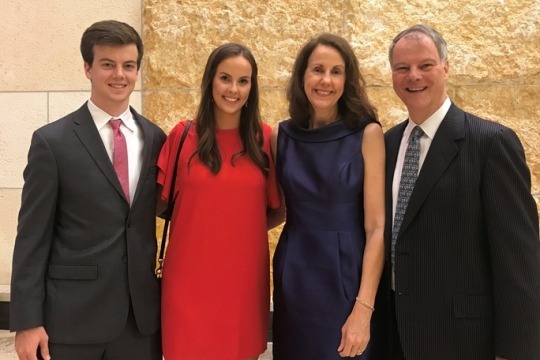 After high school, she went to Stephen F. Austin University without transferring and returned to Dallas to work for Mobil Oil, where she then stayed for 14 years. She believes that a healthy tenacity leads to good things, and she’s never been one that’s afraid of the long haul. The most successful companies and leaders in the world are tenacious with their beliefs. Although companies often give the impression of being overnight successes, as Julie points out, the reality is that there is a founder inside the company that never gave up, that stayed the course despite failures. For Gardenuity, those founders are Julie and Donna Letier. In 1997, Julie and Donna were each pregnant with her second child. At the time, they were on a church committee, and it was during this time they first met. A few years later, each woman had begun her own company, and they coincidentally ran into each other in a parking lot. Conversation ensued, and by the end of it, Julie was heading to help Donna pack boxes for her company on Christmas Day. Julie is a middle child. Thus, she’s always been a bridge of sorts, acting as the peacemaker. Now, she calls it connecting the dots. That Christmas Day, Donna had some questions about trademarks, and it just evolved from there. They found they complement each other perfectly as friends, and as business partners. Donna is the media presence, the story, and the design; Julie is the interpreter, the bridge to the lawyer or marketing person, and the finance aficionado. Having had the privilege to sit down and interview both women, I see a glaring similarity between the two—something each woman values immensely. Both Julie and Donna are incredibly hard workers who always go above and beyond. Each recognizes the quality in themselves and the other. When speaking to the value of being an overachiever, Julie returns talks of her mother again, who is obviously an influential person in Julie’s life. As a child, Beverly gave her children really broad boundaries, so each girl was given the responsibility to create her own. When Julie went off to work, she wasn’t told that he had to fulfill some quota. Instead, when she got her first assignments at Mobil Oil, she willingly (and almost accidentally) went the extra mile. She was never given boundaries, and so she never recognized them. While she was working at Mobil, she received her MBA at SMU—an impressive feat by any standards. Then, when she had her daughter, she left Mobil. Her own entrepreneurial pursuits followed, and it was during this time she discovered that the part of entrepreneurship Julie really loves is the numbers part—the actual day to day operation of a business. She met Donna, and then…Gardenuity came to be. So how did the two women settle on a product that seems so far from their previous careers? When I asked Julie about her connection to gardening, she mentioned her husband—he’s a major green thumb, and the kind of gardener that sends his soil to the A&M extension service to get it tested. (They’re definitely data people.) And, she mentioned meeting people like Brie Arthur—people who are top tier in the plant field and love it as much as they are good at it. Understandably, people like this have kept the dream of bringing a gardening experience to everyone alive. But the source? She references her childhood again. Her favorite thing as a kid was picking radishes (although often she got too eager and picked too early.) As she brings to my attention, the millennial generation doesn’t get to have that childhood—the childhood that raises kids to understand that where food comes from is important. 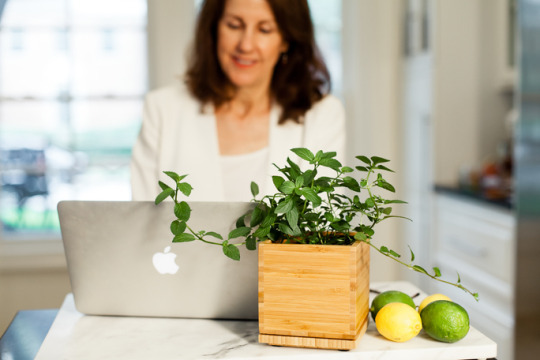 As an unabashed lover of data, Julie feels that Gardenuity’s technology is one of the huge ways they’ll spread knowledge and understanding about the value of gardening. She says, “These days, we don’t need to learn anything until the moment we need to learn it.” Case in point: Google. Julie continues, “In a small way, we have the opportunity to increase people’s awareness of, ‘Why does [gardening] matter?’ No one knows first frost (a gardening term), but they know the temperature today, so we started there.” Gardenuity sends an email that lets you know the weather’s effects on your plant and how to handle it. Through this, inexperienced gardeners learn that there’s science behind plants and, if we want, what that science is. She says of Gardenuity, “I think what we’re building is important, and it’s only become more important over time.” In any case, Julie is a huge believer that Gardenuity can get people interested in plants and science. And if we can do that, the world will be a better place. And she loves delicious, healthy, wonderful food. (Her husband is an outstanding cook.) She also explicitly mentions that attending one of Donna’s parties is one of the joys of life. If you’re keeping the tally, Julie’s favorite things are the outdoors, good, healthy food, and entertaining with people she loves. All of which can be achieved by having your own garden. Suddenly the vision of her entrepreneurial pursuit is not so random. But, in reality, none of Julie’s life has been random. She looks back to her Mom as being responsible for her ability to work hard and anticipate things. 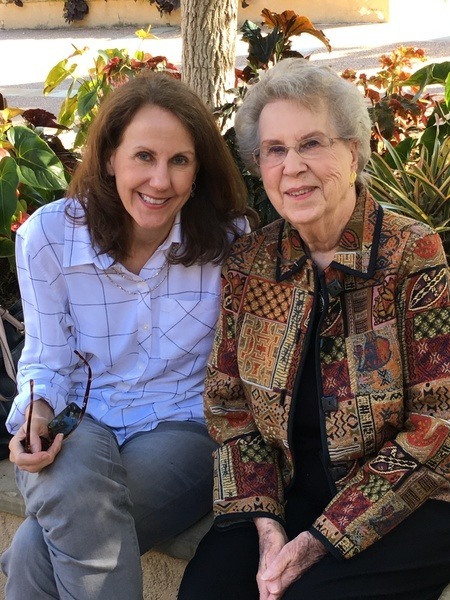 As an incredibly capable—almost unconventionally so—woman in the 70s, Julie’s mother taught her daughters to be capable, independent, to look for the values of life, and to try to embody those values. As a result, Julie identified her values at a young age and has pursued a life that embraces them. Her mother used to say to her, “People say you [Julie] are so lucky. But I’ve watched you, and you were on a certain path, and it was purposeful.” In fact, Julie’s main piece of advice was to think two steps out when you’re making a decision, big or small. And it’s clear that following her own advice has led Julie to create a life centered around beautiful values—a life that’s unraveled quite naturally, but certainly not accidentally. So what are those values? Without hesitation, Julie answers, “Good faith, family, friends, finance, fitness, food, and fun.” A list of cleverly alliterated and predetermined things…It seems quite appropriate coming from Julie—a wholly entertaining, thoughtful, and purposeful woman. November 16, 2017 by Corinne L.